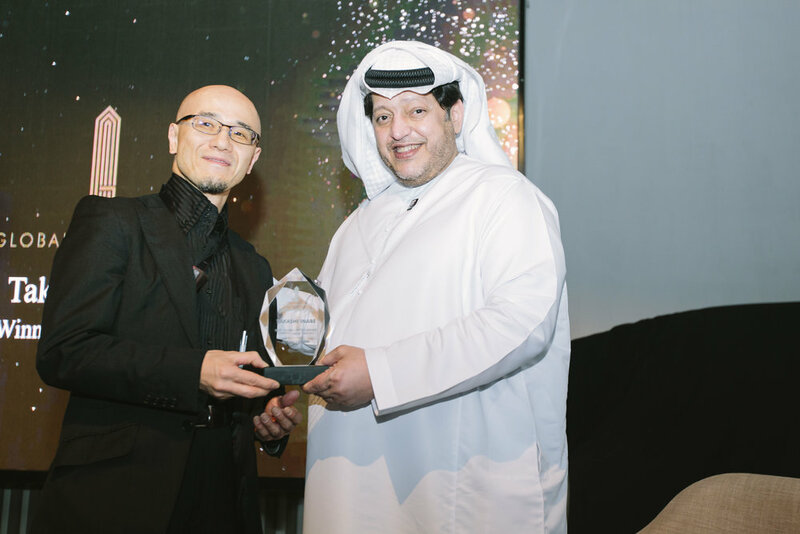 1st December 2018 – The winners of the 2018 Global Art Awards have been announced at this year's gala awards ceremony held at the FIVE Jumeirah Palm Dubai on Wednesday 21st November 2018, in the presence of the awards Patron of Honour His Royal Highness Sheikh Saeed bin Tahnoun Bin Mohammed Al Nahyan. 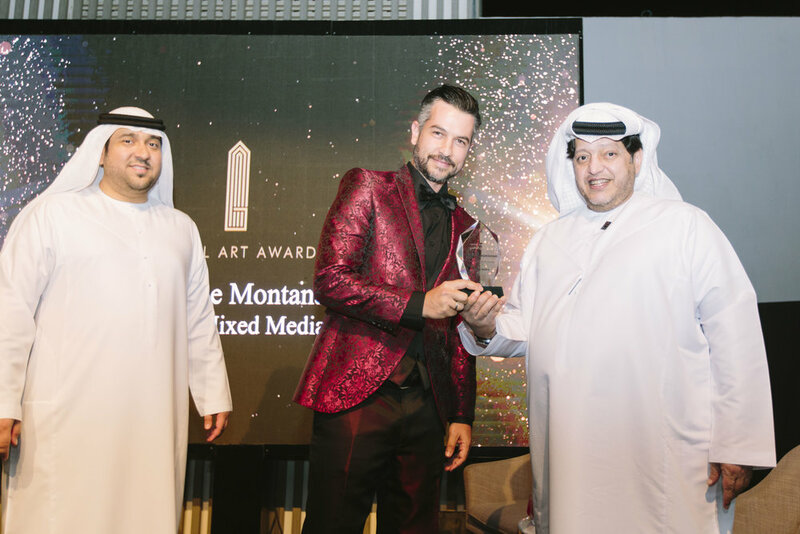 Assisted by the Ambassador of the Middle East Art Collector Association Sina Fatahi, His Royal Highness presented 16 talented artists with their trophies in visual arts categories spanning painting, street art, illustration and sculpture. 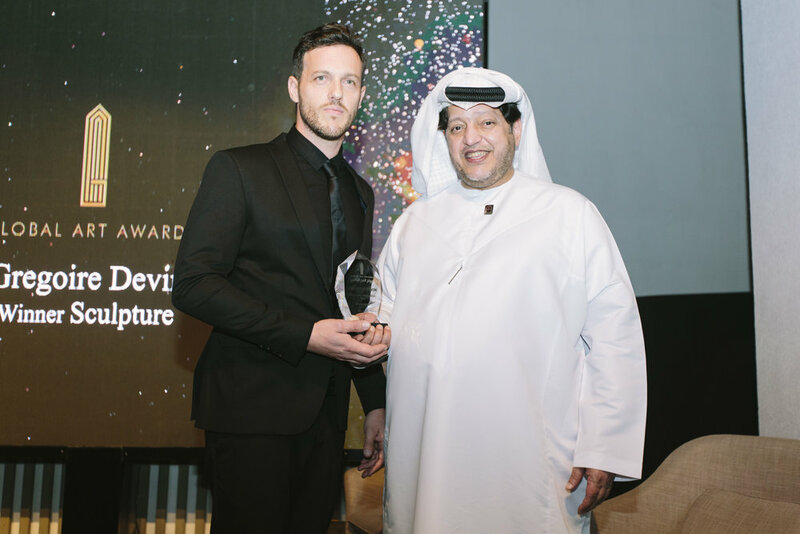 Awards were also made to outstanding young artists emerging on the burgeoning Middle East art scene, including Best Artist Below 18 and Nest Newcomer. The winners were announced by Master of Ceremony TV presenter Ms Rania Ali. The extraordinary painting skills of UAE student Afnan Rashid Kamali were recognised with the 16 year old winning the Painting Category Below 18, while UK based pen artist Gaijin McGraw was named Best Newcomer. Julian Clavijo, Columbian-born painter and sculptor working in Melbourne, whose work in urban space transformation and large public art installations has earned him considerable acclaim in the last decade, won the Street Art Category, with young Saudi artist Hiba Sultan taking the Conceptual Art prize. Other highlights from the night include Dutch artist Loes Van Delft who won first prize in the Painting Category and Takashi Inaba who took the Installation Category. 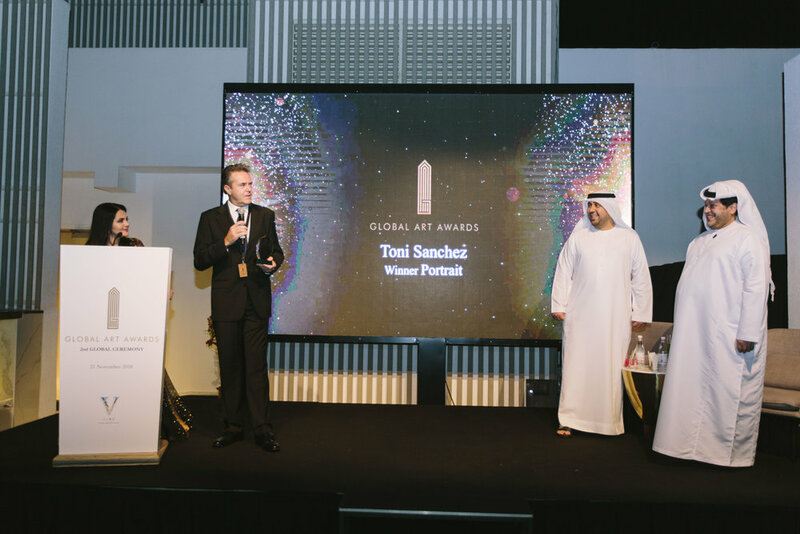 Details of the full line-up of winning artists are on www.theglobalartawards.com/winners-2018. In presenting the awards, Global Art Awards Patron of Honour His Royal Highness Sheikh Saeed bin Tahnoun Bin Mohammed Al Nahyan, said, "I am personally very proud to support The Global Art Awards which play an important role in highlighting excellence in art across the region by celebrating the achievements of all those taking part. 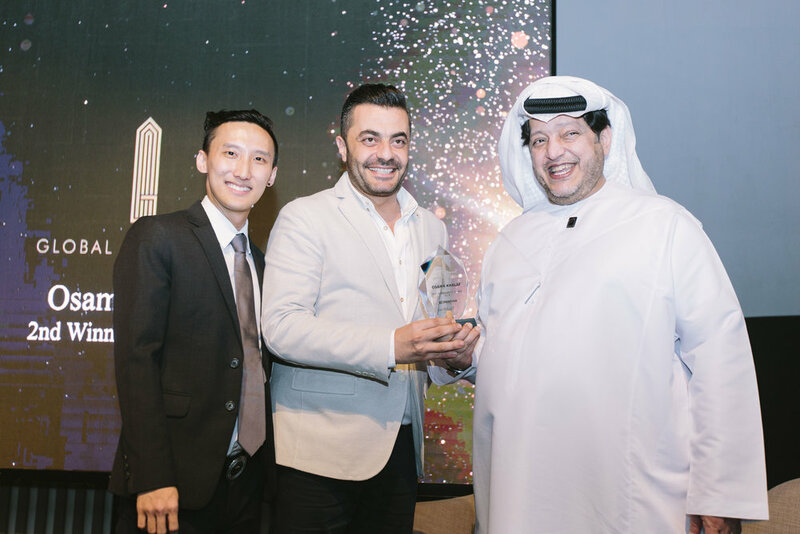 We are aiming to be number one for art in the Middle East in everything art related and are delighted to have this opportunity of progressing towards that goal." The Global Art Awards are the international awards for the Visual Arts. They were created to honour and generate public recognition of the achievements and contributions of arists, galleries, and art professionals worldwide. 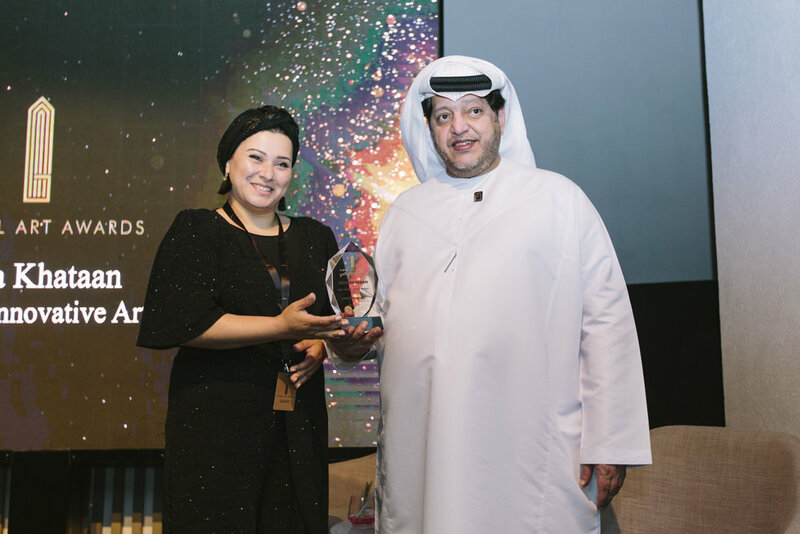 Global Art Awards CEO Ms Joëlle Dinnage commented, "We are honoured to be working with His Royal Highness Sheikh Saeed bin Tahnoun Bin Mohammed Al Nahyan to improve art and culture in the Middle East, both through the Global Art Awards and what we are doing elsewhere to have a positive impact. 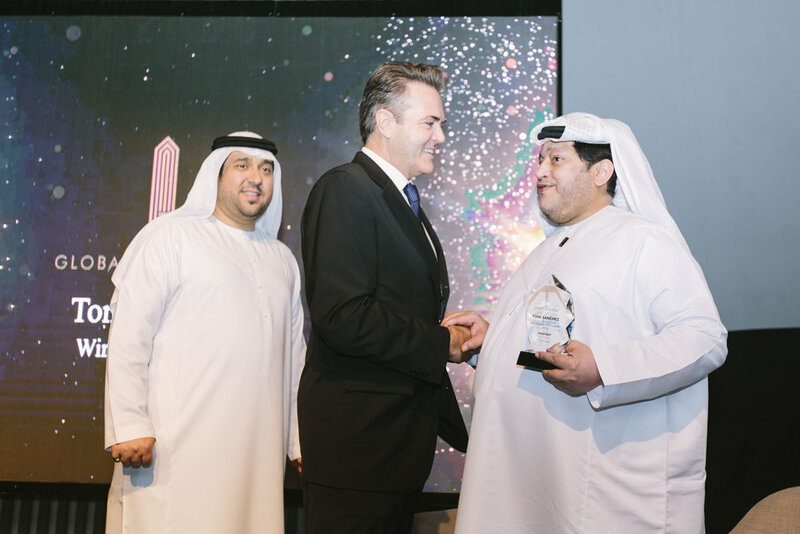 "I would like to thank His Royal Highness, the Ambassador of the Middle East Art Collector Association, Sina Fatahi and the judges for their unstinting support, and to congratulate all the artists who took part and of course those who won. We look forward to being able to announce the date for next year's awards very soon," she said.